The faster the molybdenum additive is activated, the more effective the wear protection and friction reduction. TOP 1 designed Mo3 Technology specifically to activate its friction-fighting properties at a much lower temperature than conventional moly additives. As a result, our Mo3 Technology containing products will effectively coat and protect the engine almost instantly after engine ignition, preventing wear during the most critical time of your equipment's activity. It's important for any anti-wear or friction-fighting additive to work quickly and efficiently. 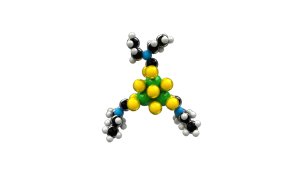 It's just as important, however, for these additives to continue working for the duration of the oil's life. 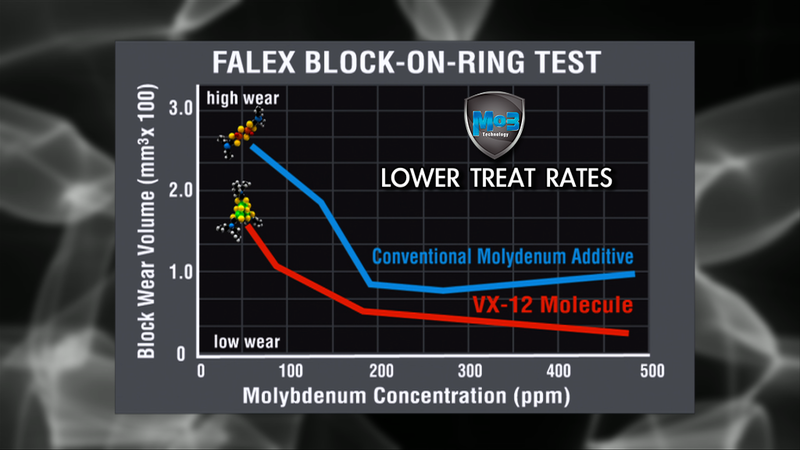 The third molybdenum atom allows the Mo3 Technology additive to be much more durable, significantly outlasting the conventional molybdenum additives. Conventional lubricants exhibit high wear - especially at low concentrations of anti-wear additive. 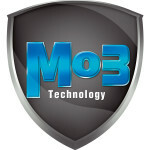 TOP 1's Mo3 Technology additive, on the other hand, demonstrate low wear - even at low concentration levels. TOP 1 researchers also use the "ball-on-disk" traction test to quantify the friction-reducing benefits of our lubricants. 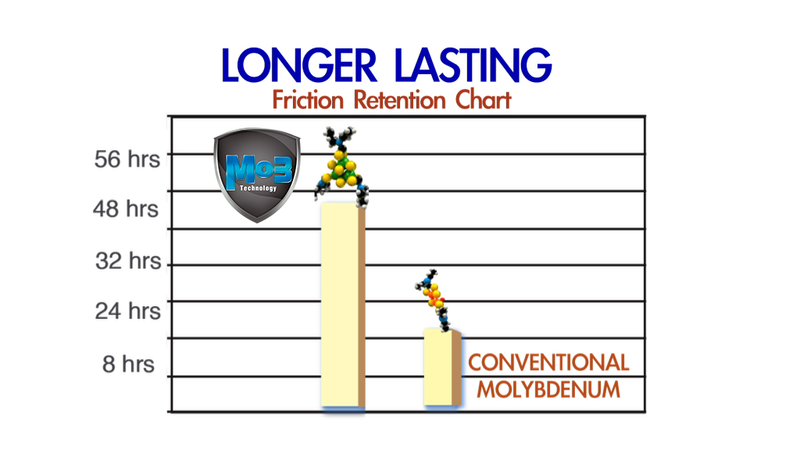 Again, we see that lubricants with Mo3 Technology outperform their conventional counterparts. In addition to having the advantage when it comes to wear and friction, TOP 1 lubricants formulated with Mo3 Technology also provide significant oxidation resistance. At TOP 1, we've seen that lubricants containing conventional anti-wear and friction-reducing additives formulated to meet minimum standards do not adequately protect engines from wearing down under boundary test conditions. That's why we developed Mo3 Technology - a proprietary anti-wear additive used only in select TOP 1 lubricants. when it comes to countering wear, reducing friction, and providing oxidation resistance."